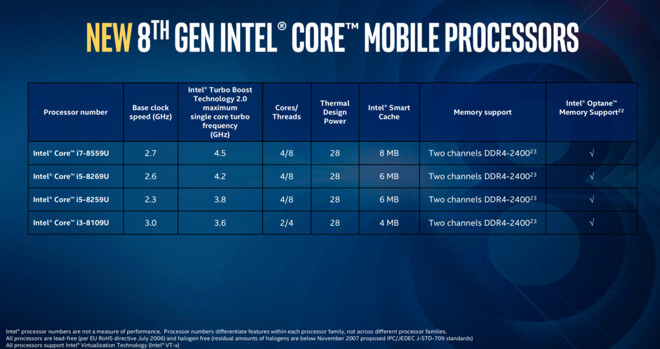 Longstanding rumors of Apple making an eventual switch from Intel to its own Mac CPUs may have been given fresh impetus by yesterday’s Bloomberg report, but Macs will be using Intel chips for some time yet. 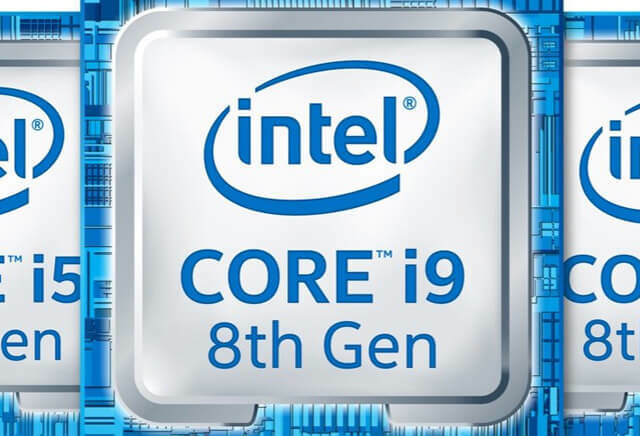 The Core i9-8950HK is a mobile version of Intel’s high-end desktop processor, offering six cores and twelve threads. The current 15-inch MacBook Pro tops out at a quad-core i7, with the 13-inch limited to dual-core processors. 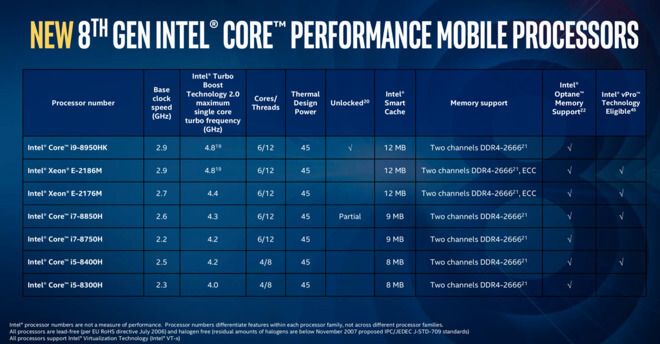 The Core i9 also offers a maximum turbo frequency of 5.6GHz, compared to 4.1GHz for the maxed out current MacBook Pro. Intel says that the new chip is aimed at games and content creation, which includes significantly faster 4K video editing. 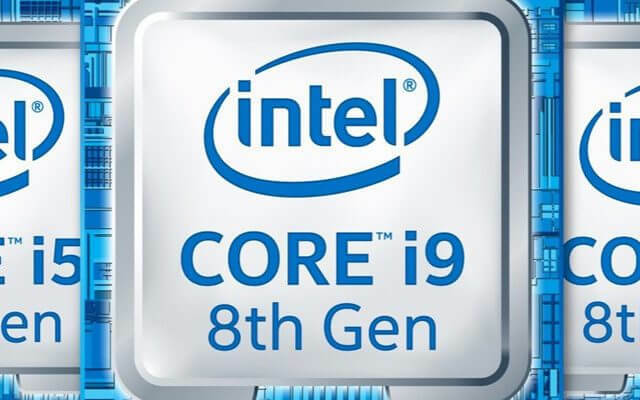 The new 8th Gen Intel Core i9, i7 and i5 processors for laptops are based on the Coffee Lake platform and leverage the 14nm process technology enabling them to deliver up to 41 percent more frames per second in gameplay or edit 4K video up to 59 percent faster than the previous generation with same discrete graphics. The Core i9 would also address one common complaint of MacBook Pro owners: that RAM is limited to 16GB. This is because current-generation processors are limited to LPDDR3 RAM, and using desktop RAM instead would draw too much power. The new chip supports 32GB of mobile RAM. Intel’s announcement suggests that the chip is aimed at high-end laptops with dual graphics cards, making this year’s top-end MacBook Pro among the likely targets for the company. Whether Apple will take the bait is, of course, a different question. Those buyers could also take advantage of macOS 10.13.4’s external GPU support to provide performance closer to the level of an iMac Pro with the flexibility afforded by a laptop.